ZenStudios has seen it fit to destroy fortresses on as many platforms as possible. CastleStorm is hopping on down to the Playstation 3 and Playstation Vita, cross-buy, on November 5th. Originally released on the XBLA and PC, CastleStorm is a love child between the noble-blooded tower defense genre, and the street-raised brawler. One wonders if the boardroom discussions regarding what kind of game to make were split between people that really enjoy Final Fight, and those who are super into Angry Birds. Clearly a deal was brokered. There are some pretty deep restrictions on the co-op for CastleStorm, being that you have to progress quite far in the story to unlock it; especially considering the limited scope of the two-player modes. You and a buddy can split responsibility between the tower defending or the brawling, or the two of you can brawl away against endless enemies. This could be a good deal for a Vita at $9.99, with the added PS3 bonus for free. No word if the DLC will be included in this package, or even available at all. 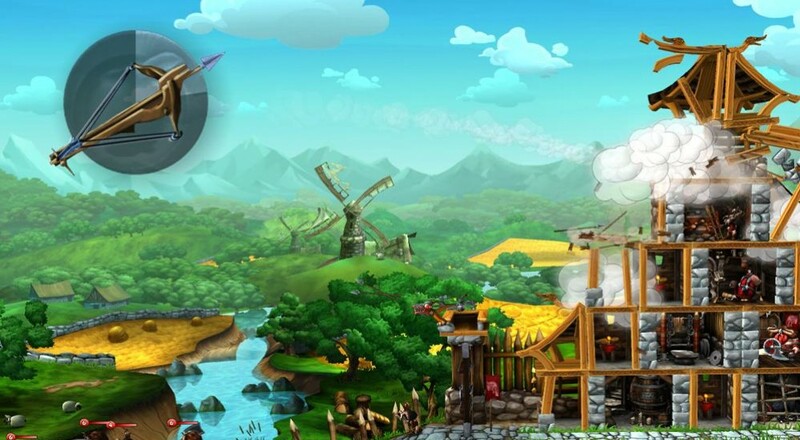 We've got a review of CastleStorm up on the site if you'd like more info on the subject. Is there a genre that inspires more polarized opinions than Tower Defense? High School Dating Sims, maybe? Some folks love sitting in their lofty commander's chair as automated defenses lay waste to their foes, while others yearn to feel visceral combat in their own hands and revel in the dying screams of their enemies. Sure, CastleStorm isn't pure tower defense, but it's got enough elements to be easily mistaken for it. Page created in 0.2860 seconds.